The highest yielding suburbs in the nation have been revealed by the latest CoreLogic RP Data, with one state boasting half of the suburbs achieving a yield above 10 per cent. New South Wales was home to both the highest yielding suburb in the country, Gulargambone, and 14 of the 28 Australian suburbs achieving the high gross rental yield. Gulargambone, a small village in the NSW central western plains, recorded a gross house rental yield of 15.6 per cent based on a weekly median advertised rent of $180 and a median house price of $60,000. Queensland’s Nelly Bay, a village on Magnetic Island, recorded the second highest gross rental yield in Australia – 14 per cent based on a weekly median advertised rent of $350 and a median unit price of $130,000. Port Vincent, a coastal town on South Australia’s Yorke Peninsula, recorded a gross house rental yield of 13.88 per cent to rank third. The weekly median advertised rent for houses in Port Vincent was $910, with the median price sitting at $341,000. The Tasmanian town of Roseberry wasn't far behind, posting a 13.42 per cent yield – the fourth highest in the nation. That figure is based on a median house price of $62,000 and a weekly rent of $160. The Northern Territory and Victoria both featured suburbs in this high-yielding list. Houses in the NT’s Zuccoli and Johnston ranked seventh and ninth in the nation, with gross rental yields (for houses) of 12.91 per cent and 12.34 per cent respectively. Victoria’s Ouyen – the state’s only suburb to make the list – recorded a gross house rental yield of 11.63 per cent to rank 14th. Small coastal towns and remote inland villages appeared to dominate the count, with low median prices or high holiday rents likely contributing to the high rental yields recorded. The ACT and Western Australia were the only jurisdictions not to have a suburb recording a rental yield above 10 per cent. The highest rental yield in Western Australia was 9.98 per cent – found in South Boulder, near Kalgoorlie. 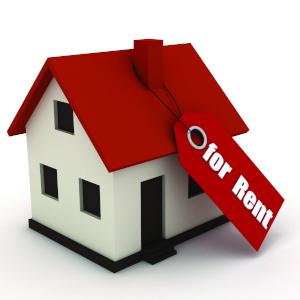 Crace recorded the ACT’s highest rental yield – 6.5 per cent for units. To see the best-performing suburbs in each state, or to research your own suburb's performance, click here.